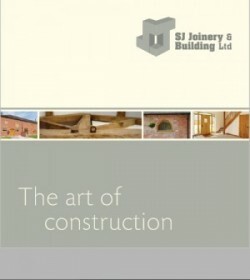 SJ Joinery and Building is a construction management and general contracting firm which provide expertise in commercial building, new building, renovation programs and more. Our knowledge, experience, and commitment are the foundation of our company philosophy and success. We are a professional construction consulting firm established in 1992, to provide a wide variety of construction management services to owners, architects, general contractors, government agencies, educational establishments, developers, rural businesses and country house estates with detailed attention to completion of the building project concerned. We have had the tremendous satisfaction of helping our customers meet their redevelopment and/or expansion goals by providing expert advice in the preliminary construction/building phase. We understand that your construction service needs are unique because your organization and project are unique. Your needs require a company that has a portfolio of project experience as well as caring enough to bring the individual attention and expertise that each and every project deserves. As a Construction Management company, we are responsible for the overall planning, coordination and control of a project from start to finish. From early development to completion, a member of our experienced building project management team will coordinate and oversee every aspect of the project, including communications with the client and architect and supervision of all subcontractors. We concentrate on good relationships between all parties and we’re always on hand to mediate if the need arises. Making sure that we minimise any potential hold ups ensuring the project gets completed in a timely and efficient manner. 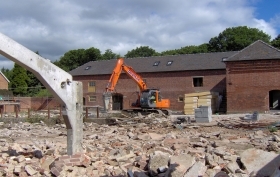 No matter the size of your project building alterations to building business parks, you can always be assured of our best attention at all times. Call us today to discuss your project.